interests and appreciation for reading and learning. At a meeting of the Womens Civic Club in 1937, Mrs. B.A. Woods suggested the club borrow fifty books from the State Loan Library in Austin. These were available for a period for three months if the borrower would pay carrying charges. Mrs. Woods made arrangements for the loan and the books were placed at Woods Drug Store for circulation. This was the beginning of the efforts of the club to start and sponsor a library. The Works Progress Administration made available the services of a librarian to schools and communities who owned four hundred books and had an approved place to circulate them. On June 23, 1938, the club had a book tea and received eighty books. The member obtained donations of books from every available source until they had the required number. Few of these books remain on the shelves today, as the interest was more in quantity than quality. The library was opened that summer in the Martin Junior High School with Mrs. Mansil Wood as librarian. In September the Lions Club gave permission to move into the front of the Lions Hall, which was then in the downstairs of the Masonic Hall. With lumber donated by the Trout Creek Lumber Company, the National Youth Administration built us four sections of shelves. By then the library was getting one hundred books every three months from the Loan Library and buying new books of our own as funds permitted. The committee raised money by various and sundry means. Christmas cards and magazine subscriptions were sold, shows were sponsored, dinners served, a silver tea was hosted along with many other projects. In 1940 Mrs. Charles Martin added a memorial shelf to the library, giving the first book in memory of her mother, Mrs. Jennie Blow Wallace. This practice of living memorials has added many beautiful and useful books as well as cash contributions. In 1942, the services of our WPA librarian were lost and funds were low. An appeal was made for contributions and many responded nobly. This, along with the money the committee raised, kept the library going for quite awhile. In 1946, the Loan Library discontinued its lending service. Having to pay a librarian and buy books was almost more than the committee could do. The committee appealed to the city council and they decided on a monthly contribution of fifteen dollars. This was a great help as it was necessary to add books regularly if we were to be of real service to the community. 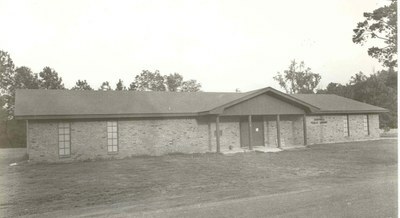 In August of 1951, the library moved into the northwest corner of the Community House. Shelves were added as needed and a new desk and chair were purchased. There were over 1500 books and 2000 were circulated that year. The library was available without charge to everyone in the Kirbyville trade area who would sign a readers card agreeing to observe the rules. It was open Wednesday and Saturday from two to 5:00 PM. Mrs. Emory Ogden was the librarian. The library operated under the sponsorship of a Library Committee from the Womans Civic Club of Kirbyville until November 4, 1967 when the first Library Board was organized. By ordinance, the City of Kirbyville assumed the responsibility of operating the library in January 1974 with stipulation that the library would continue to function under the leadership of the Kirbyville Public Library Advisory Board. Prior to the City assuming the responsibility of operating the library, Charlsie Bolton was the key individual exercising a leadership role from 1938 until 1974 when she was forced to resign because of illness. In 1978 the Board realized in order to secure approval of the Texas Library System, larger and better facilities were a necessity. Concerted efforts began throughout the community to launch this project. The community was saturated by word-of-mouth, media, and publicity, and with monetary requests. Louise Herndon, editor of The Kirbyville Banner (local newspaper) made a memorial contribution for Clyde Irvine and thus the Library Building Fund began. In August 1977, Frankie Wetzel Waller and husband deeded a tract of land 40 feet on south end of Lots 22,23, and 24 of Block 38 to the library, and in March 1981 the city paid the Library Board $1,500 for this plot. E.D.Conn, Sr. and sons, E.D., Jr., Charles, and Robert gave lots 21,22,23, and 24, Block 50 in 1978 to be used for the new building. This was a memorial to Yvonne LaCroix Conn, wife and mother of the donors. The appraisal value at the time was $25,000. Otis and Jo Helen Stringer gave a tract of land to the city in 1978 to be sold. The land was sold for $5,000 and was added to the building fund. T.L.L. Temple Foundation of Diboll, Texas became very interested in the efforts and increased the fund with gifts of $20,000 in 1978; $5,000 in 1982; $9,000 in 1983. James L. Love was instrumental in the acquistions of these gifts and a meeting room in the new library was named for him. Another local entity that supported the librarys efforts with a gift of $6,000 in 1983 was Allied Kirbyville Bank. Kirby industries supplied $500 worth of fill dirt. The City of Kirbyville gave $9,000 in 1983. The Moody Foundation of Galveston gave $25,000 in July 1983 with the stipulation that one-half be used to purchase books and the remainder used for improvements. The Kirbyville Lions Club had the sidewalks, curbing, and gutter work done at a cost of $2,500. We are indebted and deeply grateful to the citizens in Kirbyville and former residents who through generous contributions denoted that they shared the visions of a new library in the near future. The contract for the construction of the new building was $65,187.00 which included central heat and air conditioning. The Donnie Smith Construction Co. of Newton, Texas was awarded the contract in March 1982. The building with 3,240 square feet was completed in June 1982. However, the Library Advisory Board voted to launch another fund-raiser and raised $23,965 to purchase all new interior fixtures for the library. The Jasper County Appraisal Board appraised the facility at $92,465. The facility was debt free and the property of the City of Kirbyville. The newly housed Kirbyville Public Library was officially and formally opened to the public at 10:00 AM, August 20, 1983. 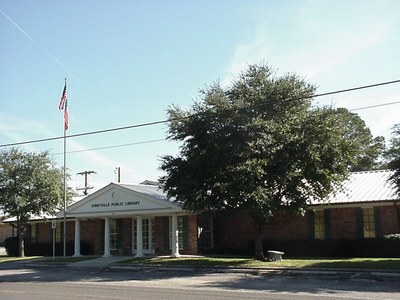 In September 1980, the Kirbyville Public Library was approved as a member of the Texas Library System and received acceptance in May 1981 which automatically made it a member of the Houston Area Library System composed of libraries in twenty-eight adjacent counties. Houston Public Library was the center of the HALS operation and the benefits derived from being a member library have been immeasurable. Just a few of the many services offered include training workshops on relevant topics for library personnel and patrons, electronic equipment and data, video loan, literacy training and the list goes on and on. Jasper County began contributing to the annual budget in 1984. Prior to Kirbyville Light and Power Company being purchased by the City in 1973, this private enterprise had contributed monthly to the operation. This practice continued which is a good indicator of the high esteem in which the library was held. 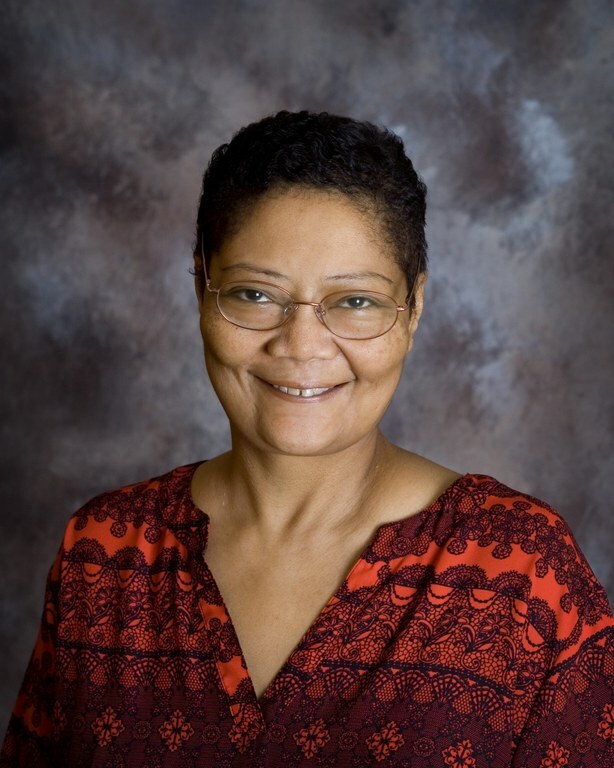 Although the Friends of the Library was organized in 1978, in July 1985 it became very active and vital under the capable leadership of Jo Krouse. She promoted book sales and revived the annual membership drive for businesses and patrons. A summer reading program for children has been a special event each summer plus a story hour for pre-school children during the public school year. A literacy program was conducted for six years and a volunteer group, which is still very active, was organized to assist the librarians. In 1986, during the Sesquicentennial Celebration in Texas, Kirbyville wanted to be a part of the state-wide observance. In cooperation with the City and community leaders it was decided that an assortment of city memorabilia would be collected and placed in a container designated a time capsule. The city-wide observance was held at the library with local dignitaries and citizens present. On the south lawn of the library a large hole was dug and the time capsule was place in it. The area was covered with concrete and a plaque with the inscription: To be opened March 2, 2036. In November 1990, memorial contributions enabled the Friends of the Library to purchase eight lots, 13 through 20 of Block 50 at a cost of $10,000. These lots were to be used for the expansion of the present library facility. The proposed plan would double the size of the present building. The newly established building fund had $3,817.34 and confidence was high that it would grow as did the original fund. Through the hard work and dedication of librarian, Barbara Costello, library staff, Friends of the Library, volunteers, private donations, and matching corporate funds, the new children's wing of the library was opened to the public in 1998, bringing the current building square footage to 5218. Librarian Virginia Core (1998-2000) secured the Telecommunications Infrastruction Fund (TIF) Grant that was the catalyst in bringing the City of Kirbyville Internet connectivity and making the Kirbyville Public Library the first public access computer facility in our community. Librarian Lisa Brown (2001-2007) implemented the TIF Grant and other technology grants from Texas State Library and Archives Commission, Bill and Melinda Gates Foundation, and other funding sources that improved the level of services and resources available to our patrons who use the public access computers at the library. 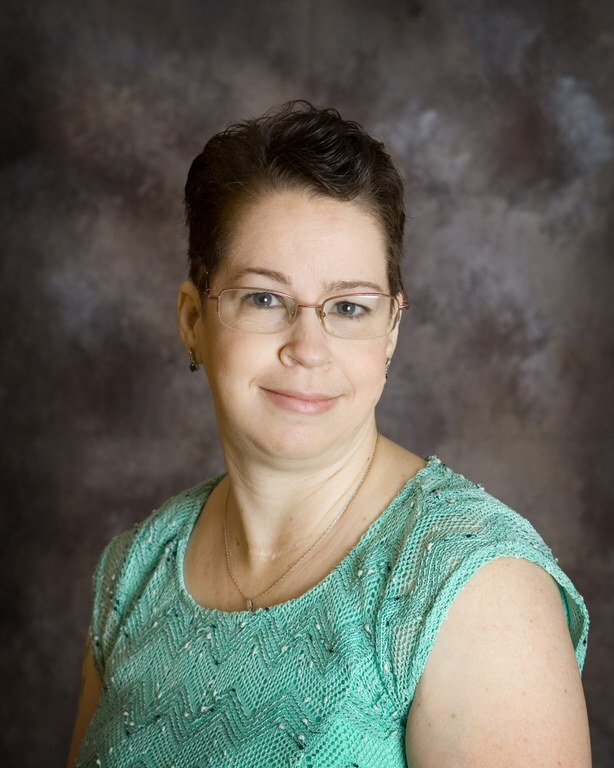 Ms. Brown also created the Kirbyville Public Library Internet Project fund that continues to sustain the technology resources at the library without support from tax based funding from the City, by becoming a designated Passport Acceptance Agent of the Department of State. Facility fees from each passport application, along with all photo fees, defensive driving fees, and Lamar Institute of Technology Distance Learning class fees continue to support this fund so the technology is always up-to-date and relevant to the user's needs.